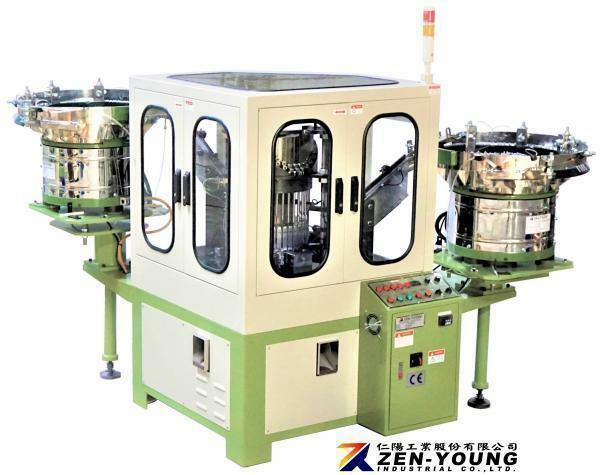 Screw & Nylon Anchor Assembly Machine(ZYC) - Zen-Young Industrial Co., Ltd.
• Continuous assembly mode, fast and stable assembling, operation and troubleshooting easy, simple mechanism can be to create a highly assembling speed. • This type of assembly machine is able to assemble slight bending of screw and anchor. Don't to change any molds for different sizes of screw or anchor. 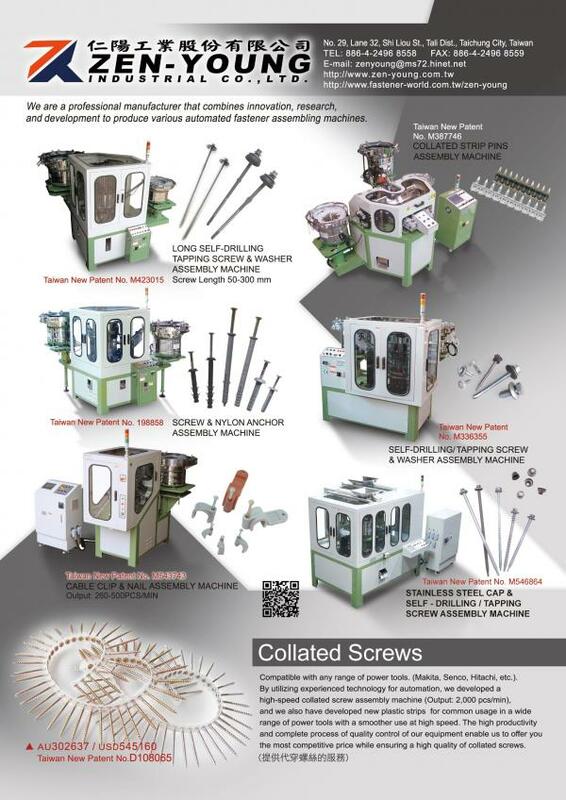 100% Sorting device for unassembled screw or anchor. When the supply of screws or anchors is late, the machine will stop automatically. After the feed tracks are full of screw or anchor, the machine will be automatic movement.